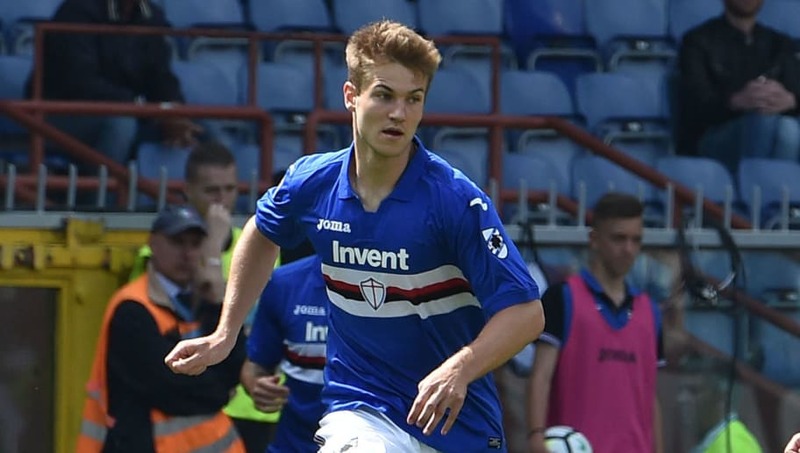 ​Manchester United and Tottenham scouts recently travelled to Italy to monitor Sampdoria's young defender Joachim Andersen. After impressing for FC Twente in the Eredivise, Andersen joined Sampdoria during the summer of 2017. The 22-year-old has failed to miss a single minute of action for the Serie A outfit this season and his performances are said to have caught the eye of a number of elite sides across Europe. Andersen has also been impressing on the international scene for Denmark's Under-21s, but he is yet to earn himself a call up to the Danish senior squad. However, national team manager Age Hareide has been monitoring Andersen's performances in Serie A and has been impressed with what he's seen - indicating a senior debut could be just around the corner. According to Calciomercato, as per ​The Mirror, Manchester United and Tottenham are both expressing a genuine interest in the youngster and they both proved that interest by sending over scouts to observe the Dane during Sampdoria's recent 1-1 draw with Genoa in Serie A. As has been well documented, Jose Mourinho is unhappy with the defensive options currently at his disposal at ​United and, after failing to bring in any new central defenders during the summer transfer window, he is looking to bolster his squad sooner rather than later. Mauricio Pochettino may be tempted to delve into the transfer market in January in order to bring in some new defensive reinforcements.